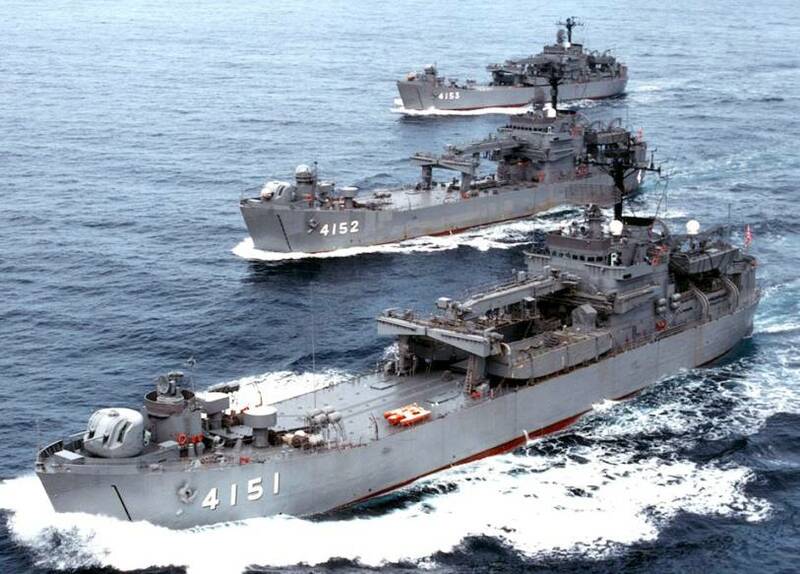 The Japan Maritime Self Defense Force destroyers after WWII. 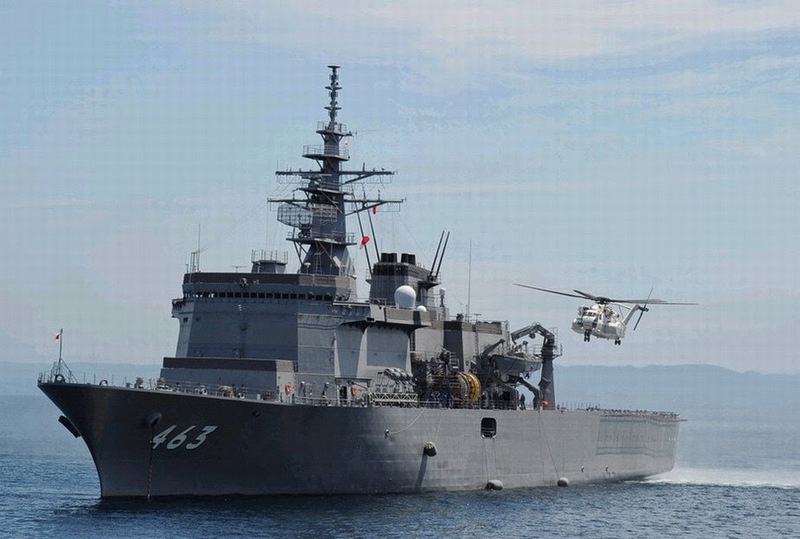 The Japanese Maritime Self-Defense Force (JMSDF) commissioned its second Izumo-class helicopter carrier, JS Kaga (DDH 184), on 22 March in a ceremony held at the Japan Marine United (JMU) shipyard in Yokohama, near Tokyo. 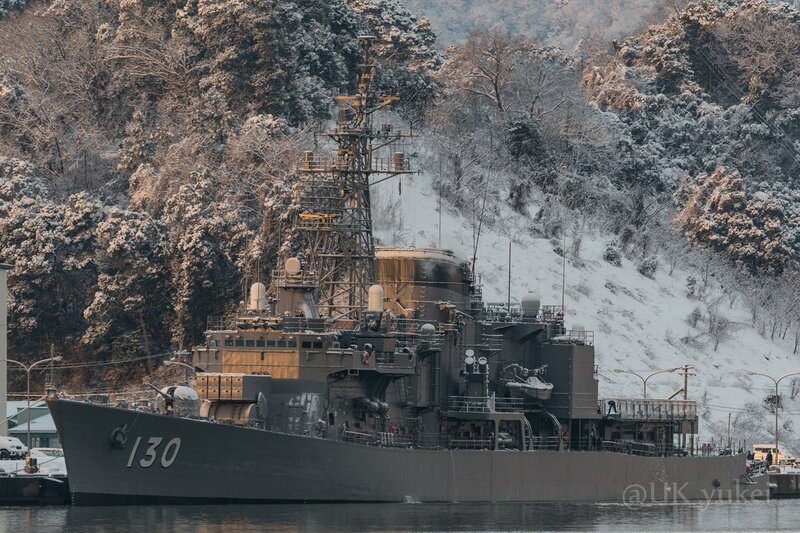 The first of class, JS Izumo (DDH 183), was berthed adjacent to Kaga during the event. Built by JMU and launched in August 2015, Kaga is 248 m long, has a beam of 38 m, and will displace 24,000 tonnes at full load. Powered by four GE LM2500 gas turbines in a COGAG arrangement, it is estimated to have a top speed of 30 kt, according to Jane's Fighting Ships . It will have a complement of 520 officers and enlisted men. 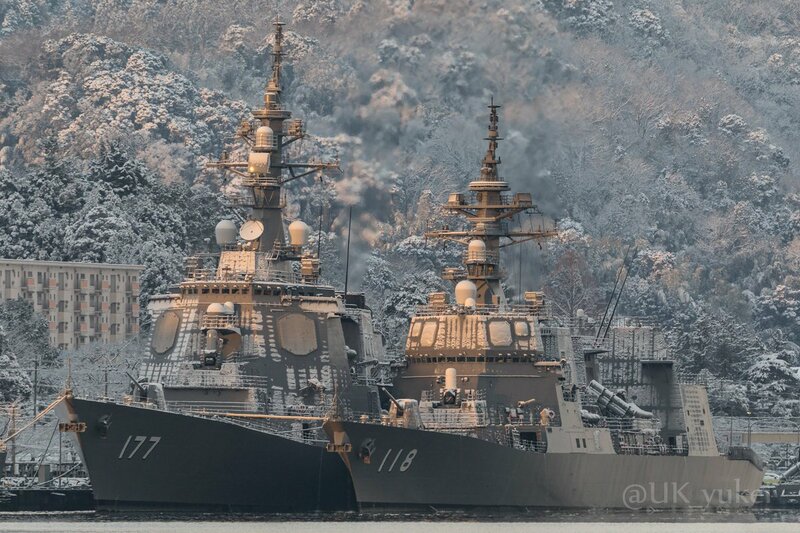 The two Izumo-class vessels are the largest warships to enter Japanese service since the Second World War. 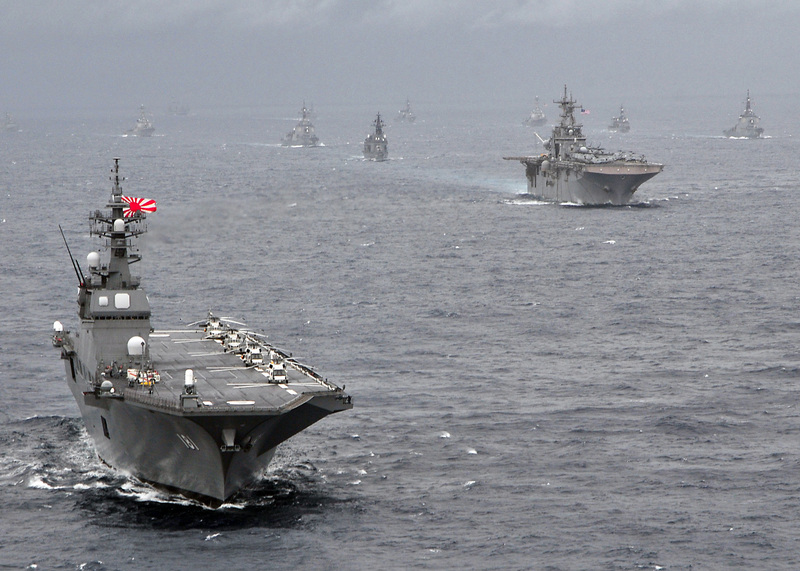 Although classified helicopter-destroyers by the JMSDF, these vessels have the appearance of a carrier rather than a destroyer. The flat-top is designed to operate helicopters in various roles. 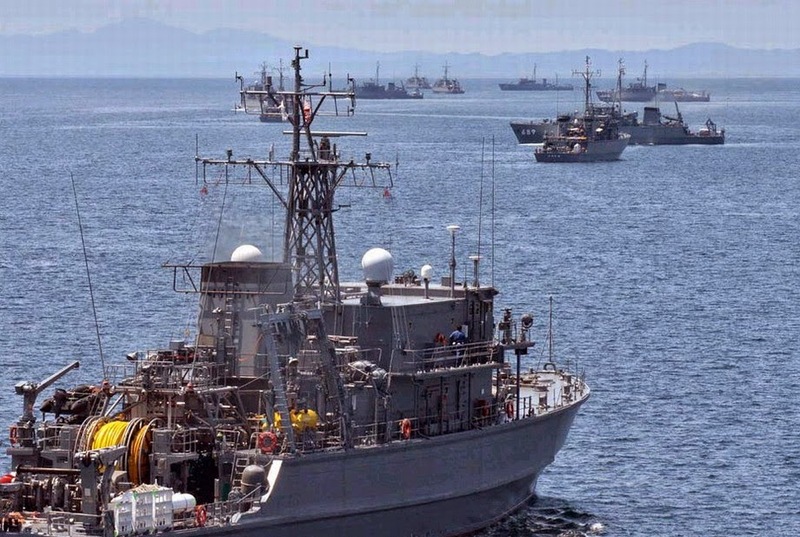 Kaga is expected to embark a mix of Mitsubishi-Sikorsky SH-60K Seahawk anti-submarine warfare helicopters and AgustaWestland/Kawasaki MCH-101 for mine-countermeasure operations. 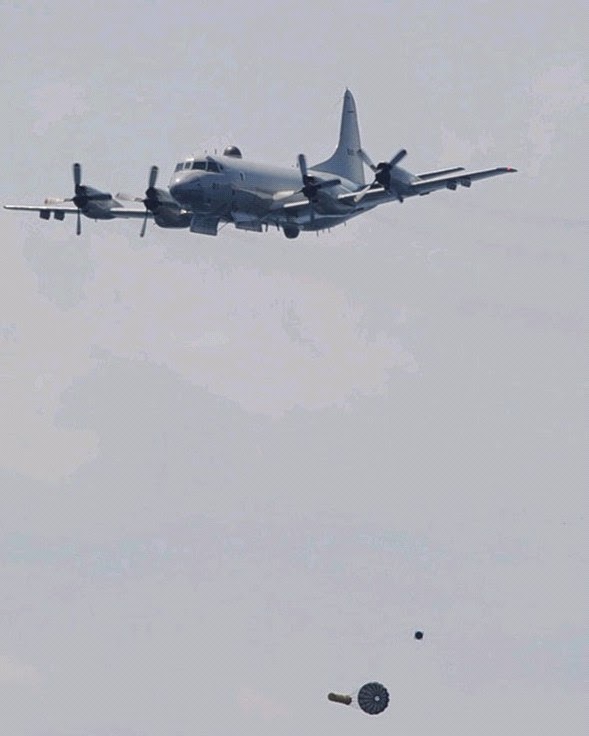 The JMSDF also anticipate using the ship for disaster relief, not only to deploy helicopters and personnel but also to exploit its capabilities as a command platform. The armament of Kaga is limited to short-range self-defence systems, with two Raytheon Sea RAM missile systems and two Vulcan Phalanx multibarrelled 20 mm guns. Kaga is the first Japanese naval ship to take that name since the Second World War aircraft carrier that took part in the Pearl Harbor attacks and was lost at the Battle of Midway. 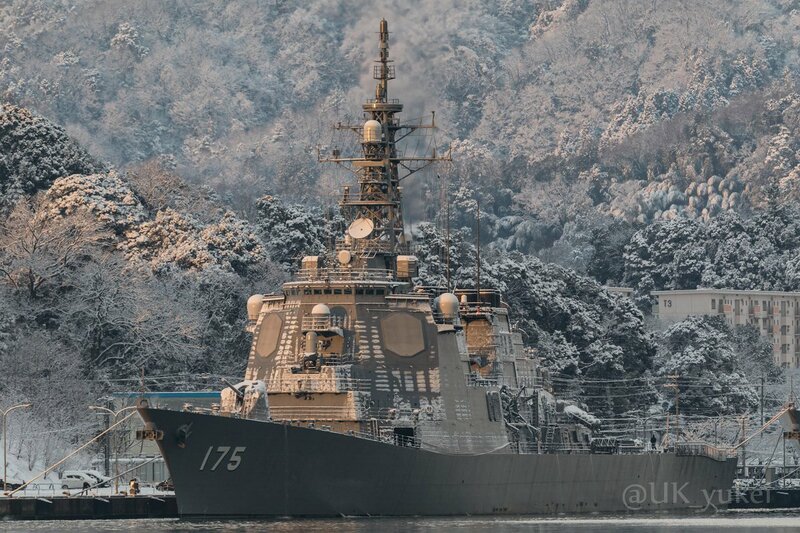 In addition to the Izumo class, the JMSDF have two smaller 18,000-tonne helicopter-destroyers of the Hyuga class, which are capable of carrying up to 10 helicopters. Three 14,000-tonne Osumi-class tank landing ships (LST) are also flat-tops that can operate helicopters, but have no hangar facilities. 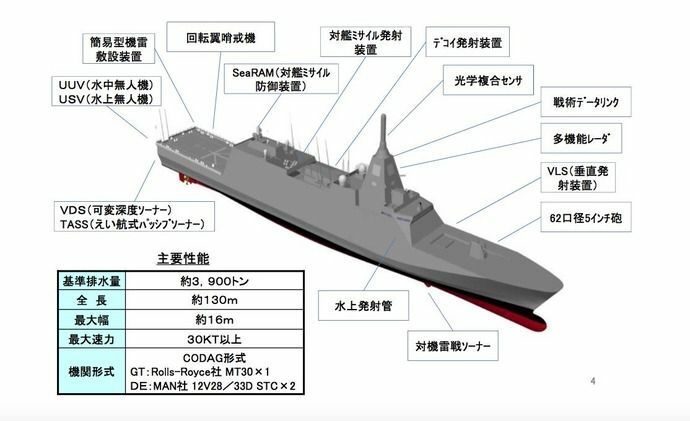 A construção se inicia em 2019 sera lançado 2 unidades por ano ao mar desta classe ate 2023, totalizando 8 unidades esta classe vai substituir a classe Abukuma. Em 2013 foi determinado que o numero de escoltas seria ampliada de 47 para 54 unidades, porem o orçamento somente permitia a construção de 1 unidade por ano, como 3 classes se aproximam do fim da vida, foi feito vários estudos para se encontrar um projeto que pudesse ser construído 2 unidades por ano. Existe boatos de que se pretende adquirir mais 14 unidades desta classe ou derivados para substituir também a classe Hatsuyuki e Asagiri. US$500 milhões a unidade, na maquete pode se notar que o vls tem espaço para ser ampliado para 32 e existe o local para se instalar outro Sea Ram porem foi determinado uma configuração mais modesta para cortar custos. Japanese shipbuilder Mitsubishi Heavy Industries (MHI) has launched the 11th Soryu-class submarine for the Japan Maritime Self Defense Force at its Kobe shipyard. JS Oryu (SS-511) was launched October 4 and is the first JMSDF submarine to run on lithium-ion batteries which store considerably more power than the lead-acid batteries installed on the previous ten Soryu-class submarines. Oryu is the sixth vessel in the class to be built by MHI. The other shipbuilder involved in the construction of Japan’s diesel-electric submarines is Kawasaki Heavy Industries who launched the country’s tenth submarine in November 2017. MHI says the 84-meter submarines are the world’s largest conventionally powered boats. They are also Japan’s first submarines to be fitted with air-independent propulsion (AIP) systems that enable them to remain fully submerged for longer periods of time. The 2,950-ton submarines are propelled by a Diesel-Stirling-electric main engine to a maximum billed speed of 20 knots. 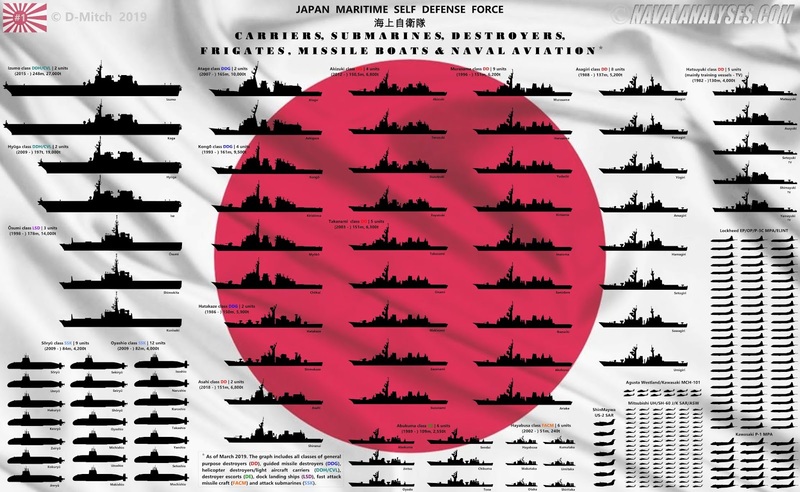 They are manned by 65 sailors. 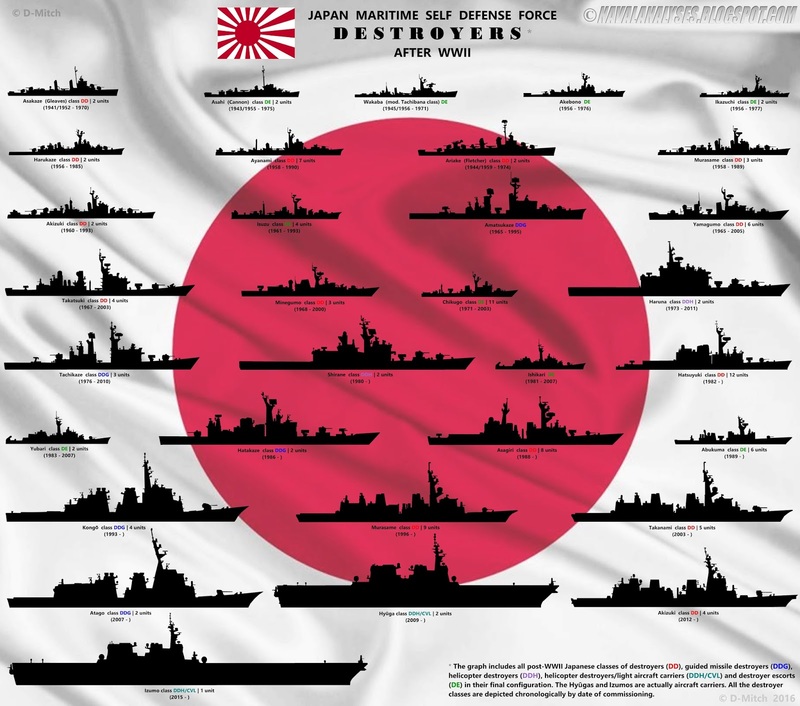 Japan has commissioned 9 units in the class so far while a total of 13 are planned to be operated by 2023. Situação no inicio de 2019.